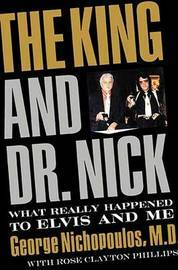 This title reveals the truth about Elvis' death from the doctor who spent eleven years as 'the King's' personal physician, father-figure, and confidant - 'Dr. Nick'. Dr. Nichopoulos spent a decade with Elvis on the road and at Graceland, trying to maintain the precarious health of one of the world's greatest entertainers. But on August 16, 1977, he found himself in the ambulance with Elvis on that fateful last trip to the ER. He signed the death certificate. From that day forward, Dr. Nick became the focus of a media witch hunt which threatened his life and all but destroyed his professional reputation. 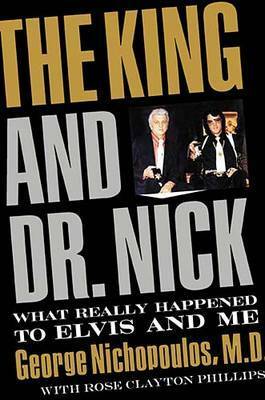 Now, for the first time, Dr. Nick reveals the true story behind Elvis' drug use and final days - not the version formed by years of tabloid journalism and gross speculation. Put aside what you've learned about Elvis' final days and understand for the first time the inner workings of 'the king of rock n' roll'. George C. Nichopoulos is the son of Greek immigrants. He earned his B.S. degree from the University of the South and then received his medical degree from Vanderbilt University Medical School in Nashville. Rose Clayton Phillips has written extensively about the recording industry and pop culture as a critic and correspondent for various music-oriented publications. She is co-author of Elvis by Those Who Knew Him Best.